Gov. 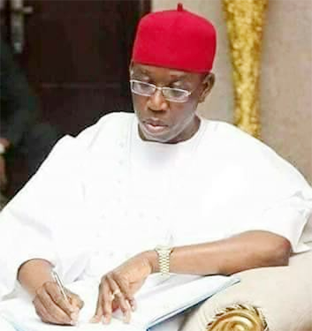 Ifeanyi Okowa of Delta on Sunday commiserated with the government and people of Cross Rivers on the death of Mr John Odey, a former Minister of Information and Communications. The governor’s condolence message was contained in a statement issued by his Chief Press Secretary, Charles Aniagwu, on Sunday in Asaba. Okowa described the demise of “the strong political ally’’ as painful, noting that the late statesman was a strong pillar of support in Cross Rivers and the entire South South Geo-political Zone. “I was shocked to hear of the passing on of Chief John Odey. He will be missed by thousands of people whom he had assisted in one way or the other. “His role in politics and the development of his community, state and nation will remain an inspiration for other political actors. “My condolences to his family, close associates and the people of Cross River State,’’ he said. He recalled that late Odey was also a former national publicity secretary of the Peoples Democratic Party (PDP) and one time Cross River commissioner for agriculture and former state treasurer of the PDP.